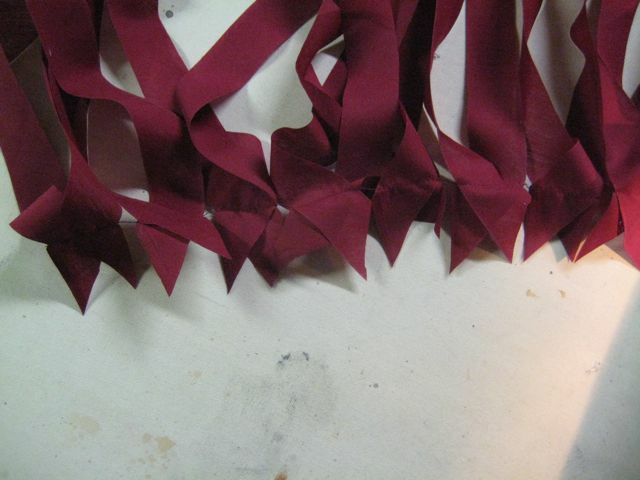 Making bias tape is shockingly easy. Sure, it’s a little tedious, but it’s really easy. The question is, why would you make bias tape when the fabric store sells it? Maybe you want bias made out of something other than a poly-cotton blend. (Honestly, once you see real silk bias binding, there’s no going back.) Or maybe you found yourself in some sort of silly situation that requires 20 or more yards of bias tape, and payng 3.59$ for every 3 yards of the stuff just failed to look like a good idea. Whatever your reason, here’s how you do it…. 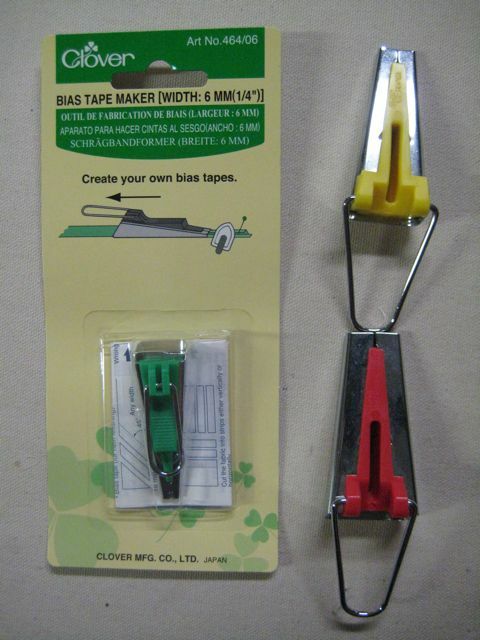 These are bias tape makers, They come in a variety of sizes, and are some of the best money you can spend if you use bias tape a lot. 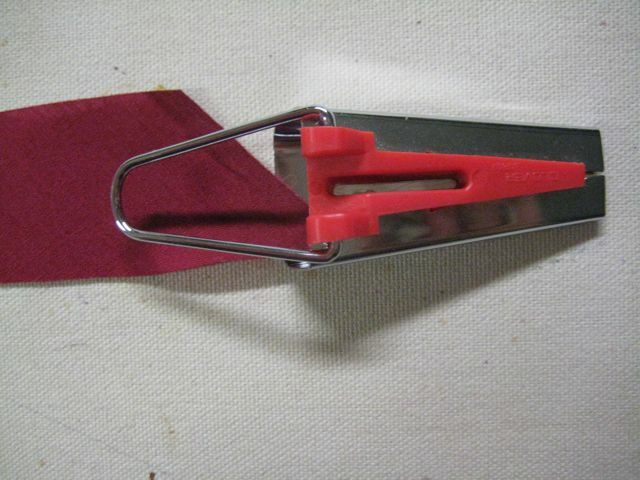 It is technically possible to make bias tape without these little gidgers. It takes about 5 times as long, and you burn your fingers a lot. Seriously. These things are worth their weight in gold. 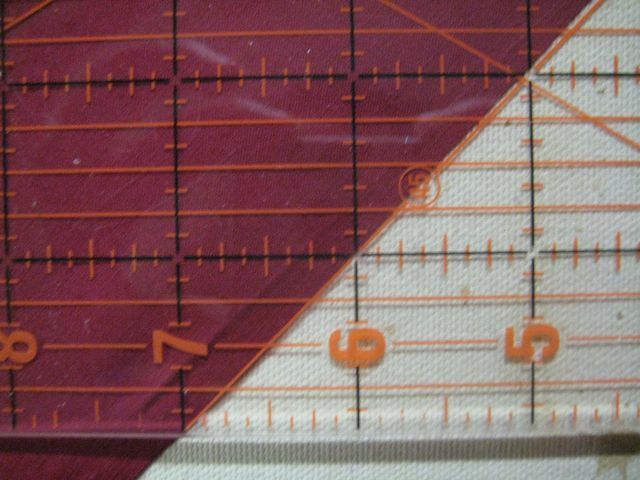 A Quilter's Rule has angle lines on it. 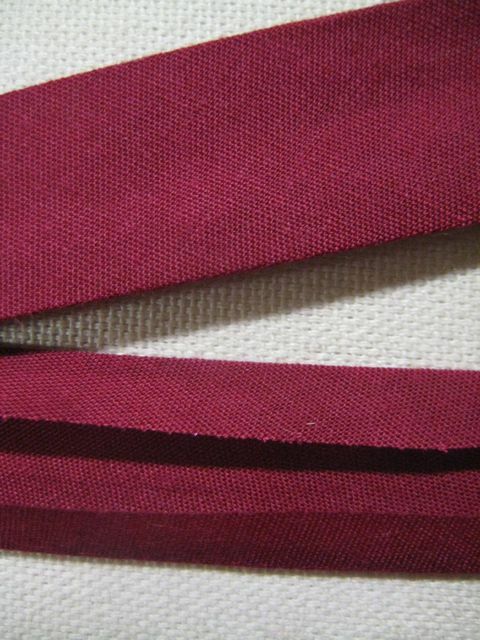 Find the one for the 45 degree angle, and line it up with the selvedge of your fabric. Mark lines on the bias, using your rule. These will be the tape part of the bias tape. 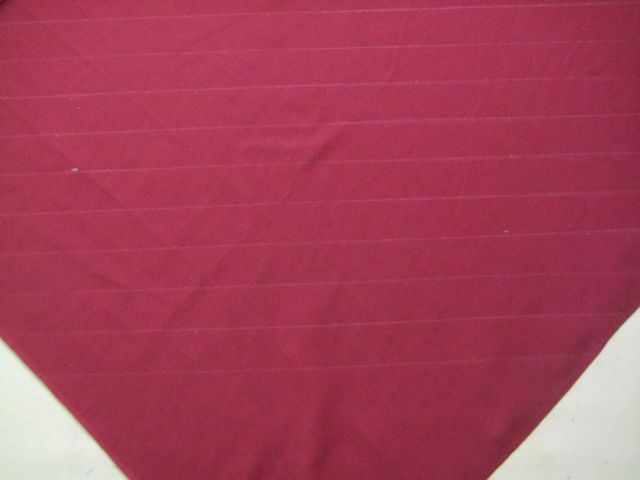 Those lines should be a hair more than twice the width of the end of the Bias Tape Maker apart. 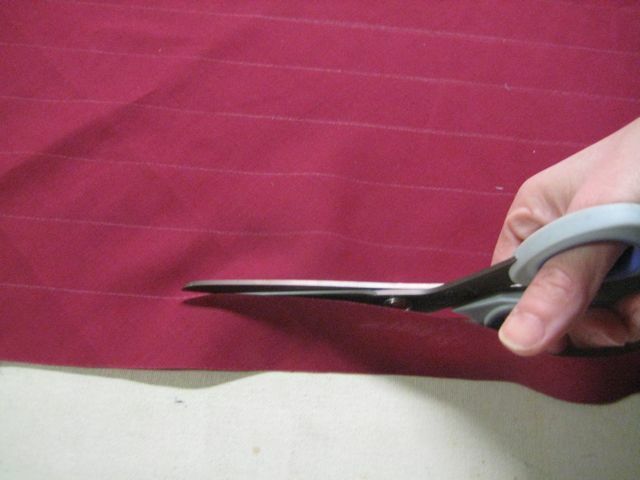 Cut along the lines to separate the cloth into individual bias strips. A 45 degree angle is optimal for bias tape, but truly, 30 or so will do. Ideally, you want pieces that are longer than 12″, because you still have to join them and you’re going to loose some length in the process. I know people who just sight things and whack out bias haphazardly. As long as its close, but the bias won’t press and nice and it gets wibbly edges and weird bits and it will be a pain to sew. Unless time is a major factor, it’s worth the 15 minutes it takes to mark a few dozen yards. To join two strips, line the ends up at right angles to each other. 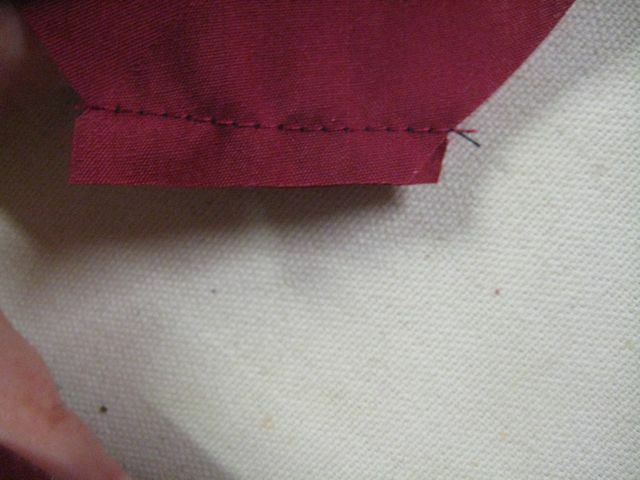 Sew diagonally across the join. Don't bother backtacking. When you open this join up, you have a diagonal seam across a straight line of bias. Repeat the join for all your strips. I run the bias strips through the machine, one join after another. You end up with a rather festive garland. 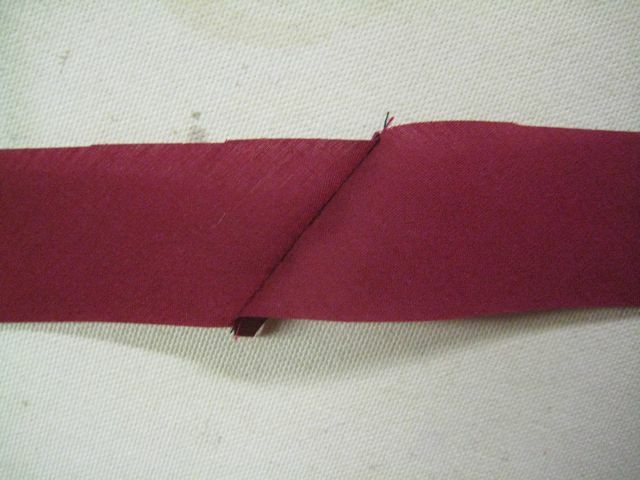 Cut your festive garland apart, and trim so that the seam allowance of the join is less than 1/4". 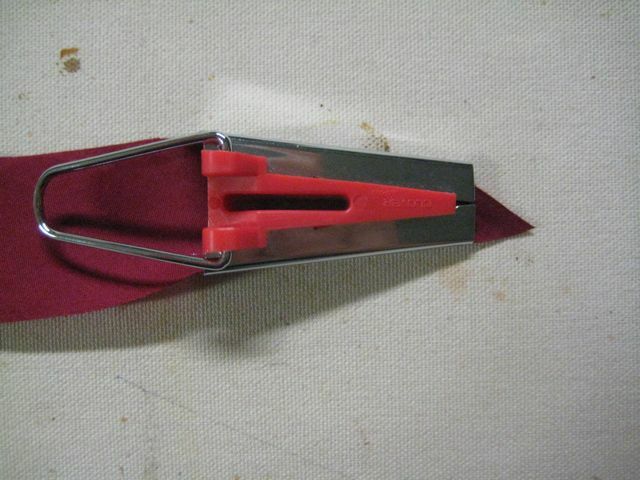 The bias strip is inserted into the wide end of the Bias Tape Maker. Push it from the back until the Maker looks like it is sticking its tongue out at you. 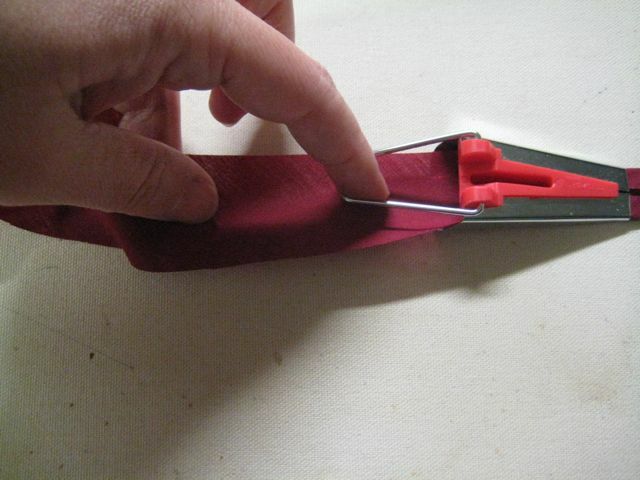 Pin the corner of the tape to your ironing board, and pull the maker back about 2". 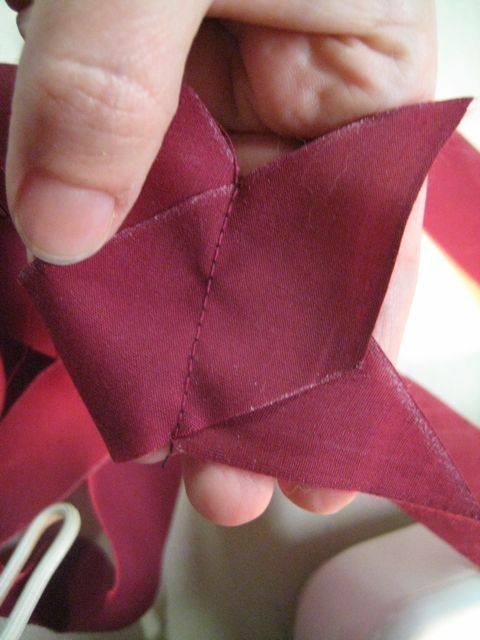 You can see how the maker folds the edges of the bias in nice and neat! Now you're ready to iron and go. Hold the Maker in your off hand, with your index finger in the little wire bit. I use my thumb, ringfinger and pinky to control the tape so it's heading straight in to the Maker. I always want it going straight in, so that both foldy-bits stay the same size. 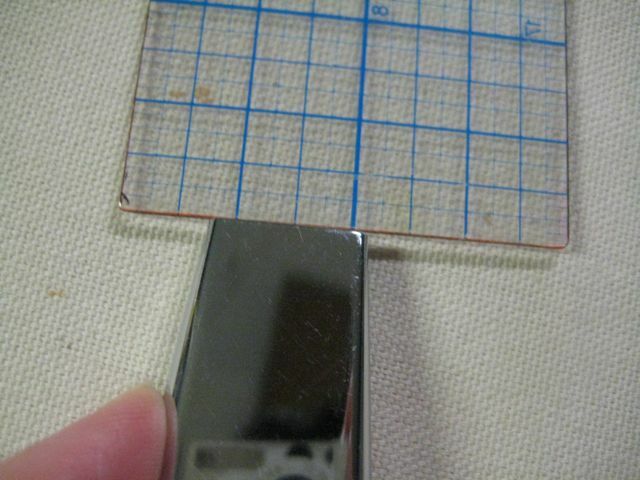 Keep doing this little inch-by-inch pressing trick until you run out of bias. Be careful at your joins – they’ll want to get stuck in the maker. 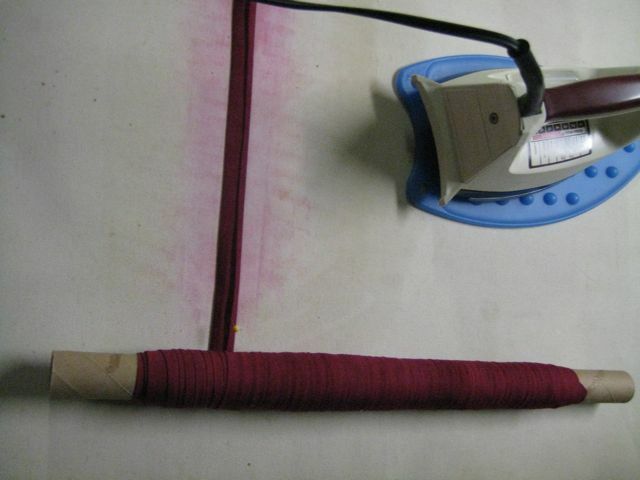 Your bias tape will stay neater if you roll it as you go. Just grab any old round-ular cardboard bit out of the recycling! You can see my work table is going a bit pink here. I’ve been combining two processes – as I’m ironing in the bias, I’ve been soaking the strips with water with a little touch of detergent in it. I’m using the water/detergent/steam to shake off any loose dye and make sure the dye is really good and set. (You know, like how you use a steam bath to set chemical dyes.) It’s actually made a really fab imprint on the worktop, too – you can see how the dye was forced off by the steam as I moved the iron. The finished tape from the right side (top) and the wrong side. I learned the tube method of making bias after I had been making costumes for years and years and now I love that method. You can do it from a square of fabric. 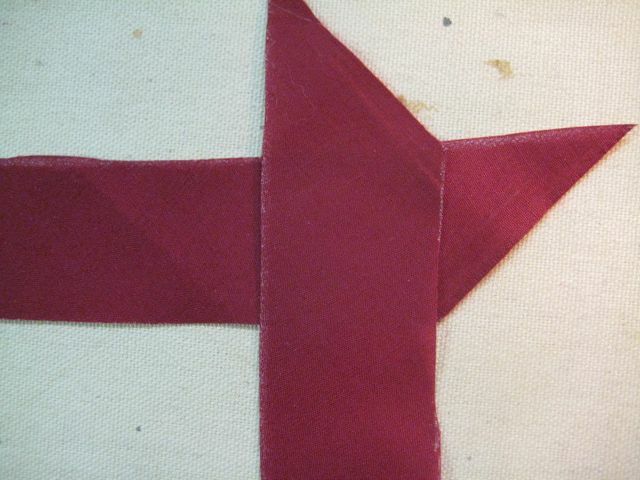 You cut the square into two triangles and then basically, make that into one thick bias piece. Then you mark off the width of the bias and offset the lines by one width of bias and sew and then cut it in one continuous strip. You know what’s hilarious? I absolutely can’t make the magic tube work. My mother has shown me, my fashion teachers showed me, I’ve looked it up online… I understand it conceptually, but I can never get the darned thing to work! I go stupid midway through and end up with a pile of circles instead of one long strip. Ah- this demo is great! Very helpful, thanks. Due to lack of money/convenience, I will be attempting to do these without the neatorific bias thingie (I only need a few inches of bias anyway). Still, this (and all your other demos) are very good. If you only need a few inches of bias, make yourself a quick little template out of thin cardboard (or card stock, or any heavy paper) that’s the width of the finished bias strip. 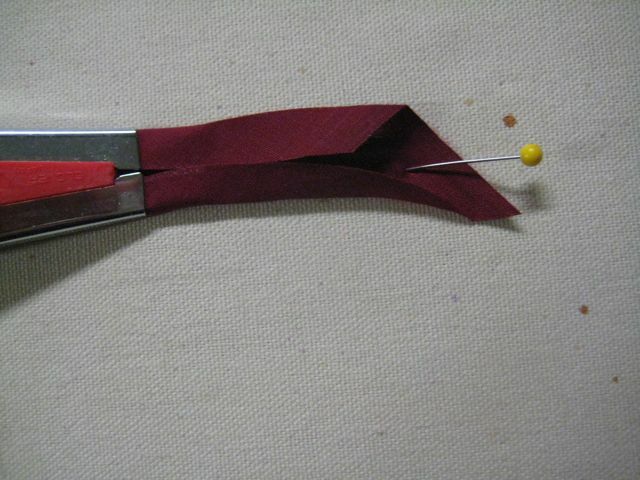 Put that in the middle of your bias-cut fabric and fold the edges along the template – that will keep everything nice and straight. Wouldn’t recommend this if you’re making a ton of bias, but for a small amount it will make things easier and neater. Glad you’ve enjoyed the site! Ineltligecne and simplicity – easy to understand how you think. I’ll be trying this soon. I’d give the tube method a try, but it has already taken me forever to do this project. It’s for edging around pot holders, and maybe I’ll get them done for gifts in time this year. I started them last year before the holidays. Thanks for your instructions!